A sewer repair company with a successful business in Calgary, Alberta, Canada, but wanted to expand to Red Deer and Edmonton. They were using Search Engine Optimization (SEO) and had a website with plenty of information for their customers to inform themselves of their innovative sewer repair techniques. Spartan Spark was asked to streamline their marketing efforts and grow their customer base in these two new geographic areas. 90-Day Marketing Calendar with detailed information on how the marketing plan was going to be executed. 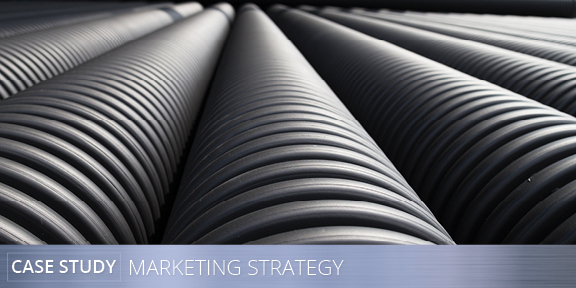 The marketing plan included strategies for consistent branding in all online and offline mediums. In terms of increasing traffic to the website, the client's Adwords were optimized and advanced methods for tracking analytics were implemented. The quality of his landing pages was also optimized to decrease advertising costs. The "persona" created was used to launch social media advertising and SEO was refined on a scheduled basis. The success of Google Adwords and Display Advertising is determined by the quality of the page they are directed to. Spartan Spark's SEO algorithm and fast loading pages, if set up correctly, can actually decrease the cost of Google Advertising by increasing the page's Quality Score. Brand awareness affects conversions so all social media pages were optimized, including Yelp, LinkedIn, Google+, and various other industry specific pages. These efforts resulted in a significant increase in new customers in the targeted areas. With these optimizations, we were able to build a customer database from which the client could build additional trust during the research phase, as well as use to define his target market. The ability to create various landing pages and split test the headings, the calls-to-action, the graphics, and the content allowed us to refine the marketing strategy quickly. The use of optimized analytics gave us insight into visitors' actions and preferences and we were able to make changes to reflect those, decreasing bounce rates, increasing email opt-ins, and increasing sales to the company.